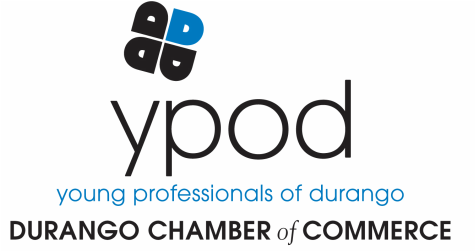 The mission of the Young Professionals of Durango (YPOD) is to "connect, empower and engage" young professionals, ages 21-39, by providing educational, social and philanthropic activities that include community and civic involvement to help actively shape the future of Durango. We strive to provide it's members with real world skills that are not taught in schools and are often not provided through their employer. Classes will range from subjects such as how to obtain a home mortgage to leadership in the workplace. Whenever possible the topics will be taught by a real world expert who has actual experience in that field. We intend to bolster individual classes with a list of resources that can be used long after the class has ended. Our goal as a social committee is to promote and increase social interaction among young professionals through social networking and events. We will accomplish this by creating a fun and positive environment, exploring new and creative ideas for social gatherings that are not the "norm", and by building a network of young professionals who step out of their comfort zones and are willing to experience life at their full potential. In addition to the Social Committee, fresh-air is for the outdoor enthusiast. As young professionals it is important to be involved in our community, but even more important to "give back" to our community.We will focus on interesting ways that we can not only give back, but have fun doing it! This is our chance to show that we can make a difference. We look forward to your ideas on how we can make an impact. & COMMENT ON WHAT YOU WANT FROM THE YPOD ORGANIZATION! DOWNLOAD THE YPOD PDF APPLICATION.